Aged Up(?) 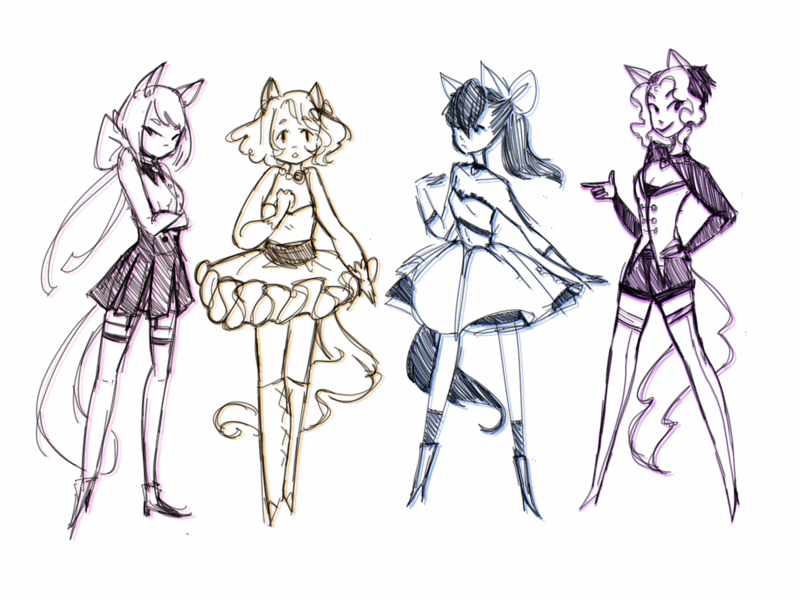 redraw of my previous magical girl designs I guess? I have long dramatic backstories and everything I'm stuck in magical girl hell help. !! This art style looks so cute! These are great! Ugh man I wish I could come up with outfits so creative.